Transit operator Surjit Singh took these two photos on the bus. 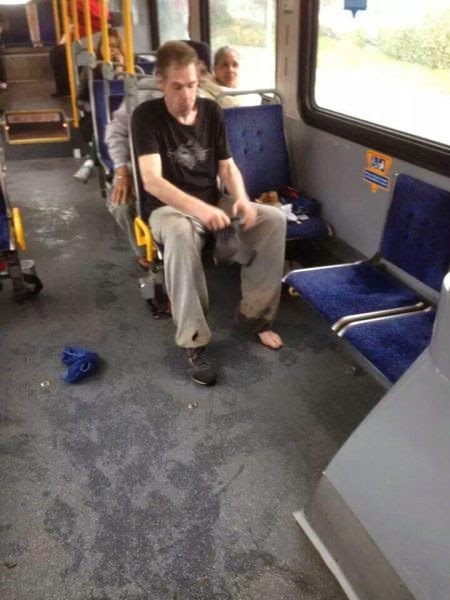 He said he was sitting in the bus when he saw a man sitting without shoes. Next thing a Muslim man boarded and sat next to Surjit. 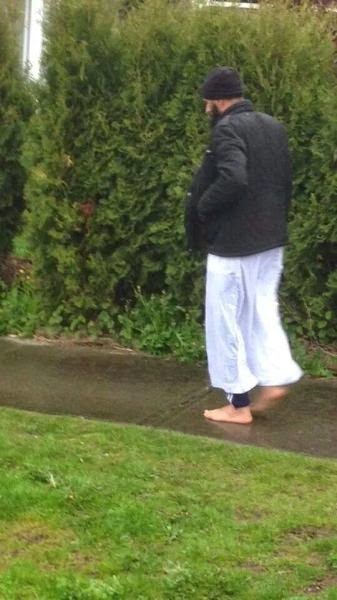 The Muslim man took off his shoes and socks and gave them to the man. He said, "I don't need them and I live nearby." He got off the bus before the man could say thanks, according to Surjit Singh. He took these pictures. The second shot shows the donor walking away barefoot. 0 responses to "Kind Strangers Make the World a Better Place (2 pics)"